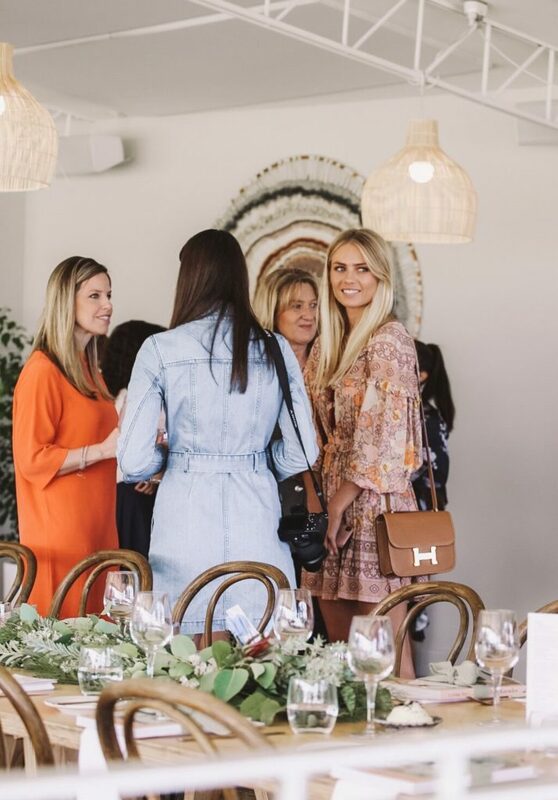 Yesterday we hosted our annual Entourage Ladies Lunch. It was a beautiful event to thank our loyal clients, hardworking referral and banking partners and staff. There was a strong vibe in the air of women celebrating and empowering each other. A little bit of financial wellness chatter, and a lot of fun!! Our very special guest was friend and client of Entourage, Elyse Knowles. 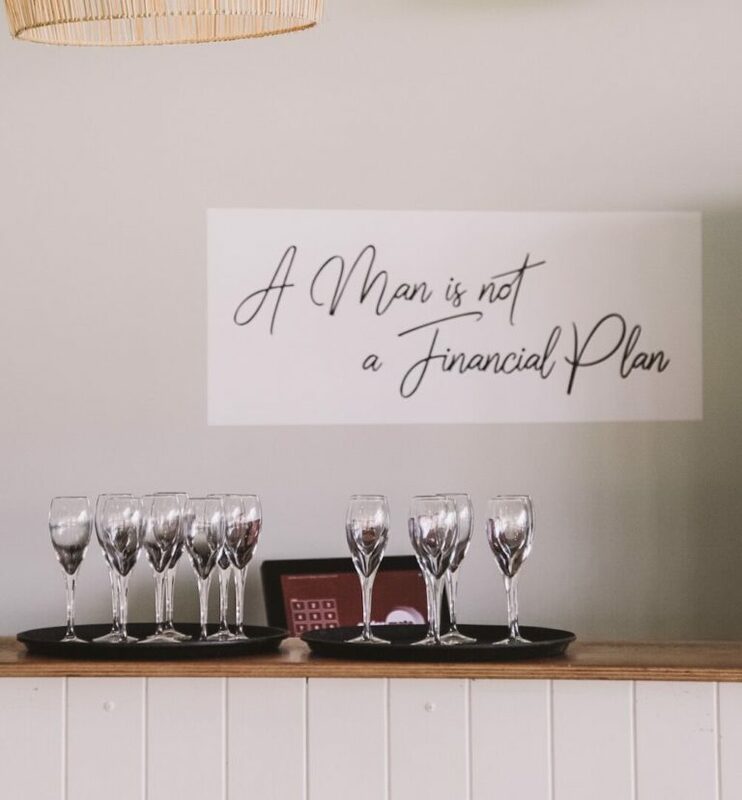 Have a read below her thoughts on Financial Wellness for women. I’ve spoken a lot over the recent year or two about what it means to be a strong person, a mindful person & a happy, positive person! I think it’s an important time to speak up about what it means to be a strong woman. A mindful woman. A happy & positive woman. Women really do have an amazing way of supporting each other & teaching each other. There is something so special about the way we communicate – it’s meaningful, natural & it speaks so many truths. Wouldn’t you agree? When you go out for breaky or lunch with a group of your girls & chat about everything from work, home, goals & relationships – you come home feeling as if you’ve learned something new. Or you feel empowered or refreshed! Having mature conversations with other women is so valuable. What’s also so valuable, is being knowledgeable. Knowledge is power! Working with Entourage I am learning all about personal finance and what it means to be in control. I’m loving it & I’m a big believer in paying it forward which is why I’m introducing you all to this amazing resource. Money can be an awkward or a stressful topic to talk about, so first things first … let’s talk about it! Let’s get comfortable with the subject & get back to focusing on feeling in control. Speaking with your friends or your “tribe” will do wonders – trust me! Even for the mindset, as you’ll begin to notice you’re not the only one going through whatever you are going through – and that is comforting. I was always scared about finance as a subject! For a long time. What to do with money, what to ask the bank, what to invest in, what not to invest in! It’s a big world out there & there is a lot to learn but if you start early, you’ll be doing yourself the biggest favour. When you start a career and begin to earn an income, it’s a good idea to get organised & stay organised. Josh & I brought Entourage into our lives to be a pillar of guidance & support. We wanted to be able to rely on someone for accurate information & good advice, and Entourage are just that. We’ve never felt so under control! I had the pleasure of attending an amazing Entourage event with a group of beautiful women yesterday! We talked about financial wellness & the property market and I sincerely hope everyone went home knowing something new or at least feeling clearer about something. I certainly did! To recap on the great day, I’ve popped a summary of our conversations below. But firstly – a quick tip. If EVER you are unsure or nervous about anything to do with your finances, just ask a question. Don’t ever worry or think that Google is your only tool. There are brilliant people around, like the team at Entourage who are a phone call away. They exist because they want to help you! Elyse’s hardworking ethic is obvious. Your mum is here today, welcome Kim. How would you say they have influenced you in regard to your ideas on money, property, investing etc? My parents definitely had a strong influence on me growing up. They both worked their butts off (before & after having us three kids), so that they could create & maintain a comfortable home for us all. Mum & Dad purchased their dream family home in Eltham when we were very young – which must have been scary! I was scared buying my first home with Josh … and we had no kids! It was a big commitment & a big leap of faith for my parents. Buying this home meant we were able to build a lifetime of amazing memories in the same house (which is still the family home today!). Along with the purchase however also came the mortgage. Dad worked tirelessly to pay the bills as did Mum while also putting us through school & dealing with 3 veryyyyy energetic kids!! Despite the heavy load, they managed to get through everyday with a smile on their face. I am grateful for having witnessed the two of them unite like that. It taught me a lot, as it showed me that anything is possible when you surround yourself with great people & you work hard. You obviously had a passion for property from an early age. Can you tell us briefly about your first property investment? Due to the nature of the modelling industry, I starting to work & earn an income from quite a young age. My dad helped me manage a bank account & taught me the value of savings & patience. You can imagine how many times I would have loved to just go out & buy silly teenage things! But I listened to dad & left my earnings in the bank. At 21, I was in a happy & stable relationship with Josh (which is hugely important when buying a property with someone!!) & together we were in the position to start looking at investing in a home. EEK! We went to a tonne of home opens & went through many disappointments when we missed out on places we loved – but we kept persevering & eventually found our ugly little duckling in Coburg. It was honestly the ugliest, run down house on the most beautiful heritage street. Jackpot! It was daunting because it was very old & virtually falling apart (no joke!!). I guess the state of the house made us feel a little hesitant & it definitely made our parents think, “are these two bonkers? !”, but Josh and I knew what determined people we were. We knew that a renovation would come with hurdles & many uncomfortable moments and days, but we also knew it was a great opportunity. So we dove in head first! How do you feel things have changed since then? Would you have done things differently had you already had your “Entourage” back when you were meeting with banks and got your first mortgage? If we had a team like Entourage working with us back then when we bought our first home, we would of felt more confident in what we were about to do. Buying a house is a huge life step! Josh’s dad thought we were crazy, my family thought the house was horrible (which it was!) & even Josh was scared out of his brain! But I knew that with our skills & vision we could transform it. I told Josh we needed to go for it. To take a leap. We paid 600k for the house. We would of loved some advice on this I think, i.e. how much we should have paid. It also would have been so beneficial to someone helping us organise all of the paper work for the loans & so on. It would have saved a lot of stress & silly fights during what should of been a really celebratory & exciting time. Entourage have given us security around our decision making. We have a lot of great ideas & we want to do a lot of things but we definitely can’t afford to do all of them. We need to avoid unnecessary risk & steer clear of putting ourselves into too much debt. Entourage tell us what they think based on their incredible wealth of knowledge & research. They do a thorough analysis of any location we’re interested in, they research the banks lending capacities, the current state of the market. They take into account our business opportunities, our personal goals & dreams and they help us to forecast into the future. There is SO much to consider when it comes to the property market, and your finances in general. I cannot stress the importance of leaning on the professionals to help you. It was after reading a certain section in your book that you titled financial independence, that I knew you would be an awesome advocate and supporter for our theme today. So, can I ask you, what does financial wellness mean to you? Maintaining financial wellness is a huge part of my life now. I’ve spent years working hard & saving wisely and I’m not about to throw that all away on a whim. I pride myself not on being a “model” but being a businesswoman. I am my own brand & I work really hard to make well researched, educated decisions. These days we’re all so overloaded by choice. What we do for a living, where we live, what we eat, what we spend our money on! It’s very easy to get lost in it all and overwhelmed. It’s a healthy step forward when you learn to accept that when it comes to managing your money, you don’t have to figure it out on your own. Currently women are being encouraged left, right & centre to charge ahead in their careers and become financially strong & independent – which is amazing! In order to do this properly however, we need supportive tools around us & we need access to correct information. Entourage is an incredible resource. Together, Josh & I have formed a really trusted relationship with Entourage. It allows us to feel comfortable & supported in our decision making, which I promise means we sleep better at night. It’s given us a source of knowledge & a great sounding board when we have a million ideas but no idea which one to go with! I want to show women how to feel in control & why it’s so beneficial to many areas of your life – including your general happiness! I feel as though the best way to support other women is to remind them – they’re not alone in their finances. There are people around to lead the way. Creating a supportive network is important when it comes to many parts of life, including your financial wellness. Of course! Buying a house is not like buying a dress – it’s time consuming, complex & it can be incredibly daunting & overwhelming. Oh and it’s expensive!! Surrounding yourself with people who have been in your shoes before is important. Whether it’s your parents, a mentor or your friends – you can acquire a lot of comfort when you talk to others about the way they did things. It opens your mind to ways of doing things that you may not have previously been aware of. Money is a big part of life. It can feel awkward to talk about but pushing through that stigma & having mature discussions with people you trust is important. Many of our guests will know you also as the winner of the Block in 2017. Your passion for renovating and styling – where has that come from? I’ve always been a creative person. I definitely get it from my Mum who is a big fashionista! She used to make my clothes for years & years and taught sewing classes at our home when I was in junior school. I’ve always also been a visual learner. School wasn’t super easy for me, but anything hands on or creative, I thrived in. Things make more sense to me when I can see them or build them. When I discovered that I was skilled in this area, I really started to enjoy it. It gave me confidence & fulfilment. Fashion is a huge love of mine, however as I’m getting older & creating a home of my own, interiors & styling have become an absolute passion. I’m a homebody at heart so spending time creating a comfortable, happy space is a joy. What’s next for you Elyse? Any exciting plans for the future you can share with us? Byron Bay is certainly the newest part of my life and I love it! Josh and I are renting as we take the time to assess the market, learn the lay of the land & decide whole heartedly if Byron is the place where we can see ourselves spending the next little while. Our eyes & ears are open to the property market but we’re not the kind to make rash decisions. When the time is right, and the property is right, then we’ll talk. Until then we’re working at staying on track financially by working with the great people at Entourage. We’re also just taking some time to slow down & enjoy living! The ocean, the fresh air, the balmy weather … I think this is our exiting plan this year … to soak it all up. If you’re financially well you are less stressed, you’re more present in your relationships, more productive at work & you just feel more content & in control. All of these things are empowering! And they should be celebrated, which brings me to my next point – make sure you celebrate your successes!! Don’t be shy about it, own it!!! Let the pride show! To finish up, another quick tip! In the coming months Entourage will be introducing Entourage Legal as they broaden their conveyancing arm. If you are not already aware, anything to do with legalities can be costly & highly complicated. So this is a really fantastic asset, and one that I hope you all enquire about. I will be! Go and be BRILLIANT! Go & dominate your day, your goals & reward yourself every step forward! If you are in a position now where you feel financially well, good on you!! I am so proud of you! And if you’re not there yet – don’t stress. You’re definitely not the only one. Reading this blog is a fantastic step – so bravo.